kaju barfi recipe | kaju ki barfi | kaju barfi with milk | cashew burfi recipe with detailed photo and video recipe. very similar to the famous and popular kaju katli recipe, but is prepared with milk which makes it slightly different and gives it barfi texture. yet another popular indian sweet recipe prepared especially during raksha bandhan, diwali and navaratri festival season. kaju barfi recipe | kaju ki barfi | kaju barfi with milk | cashew burfi recipe with step by step photo and video recipe. generally there is a perception or a belief that both kaju katli recipe and kaju barfi recipe are same. but i am afraid, there is a slight difference between those. 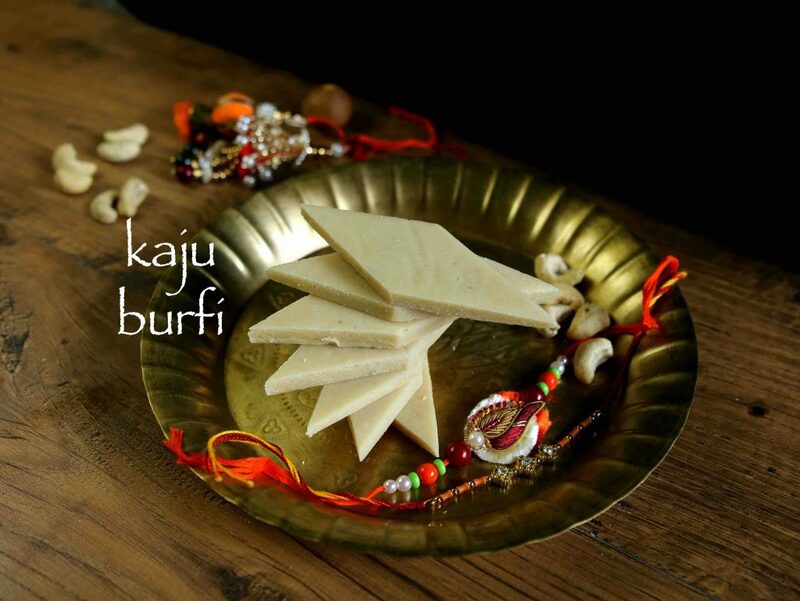 kaju barfi is prepared by adding full cream milk while forming the kaju dough which makes it more creamy and moist. 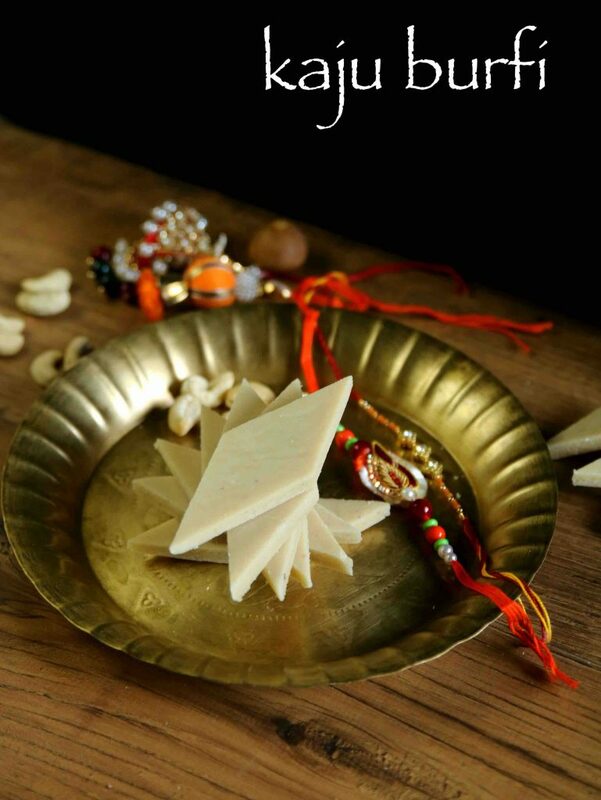 i have already shared the popular kaju katli for last year’s rakhi special, and i wanted to share something special for this year’s raksha bandhan. however i wanted it to be special, easy and more importantly rich and tasty. i had couple of options like badam katli, kaju pista burfi, but i settled down for kaju barfi with milk. basically no other indian sweet or barfi recipes can be as simple as this recipe, yet so special especially to share the love between brother and sister. this kaju barfi recipe is dedicated to all my brothers and to those sisters who want to see their brother happy. furthermore some important tips and recommendations for a perfect and creamy kaju ki barfi recipe. firstly, i highly recommend to use fresh cashews or kaju’s for this barfi recipe. old cashews may have moist and perhaps may release oil while powdering it. moist and extra oil would spoil and may not form the smooth powder. 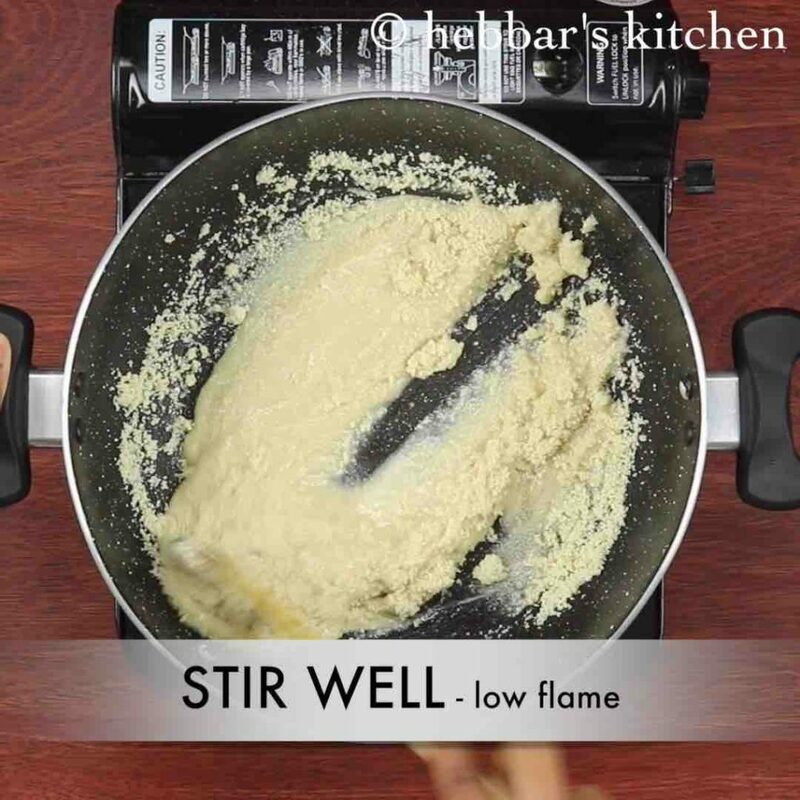 secondly, cook cashew burfi on low flame so that it forms a lump in a proper consistency. in addition do not forget to stir it continuously. lastly, you can add silver vark on top of the kaju barfi which makes it more attractive, however it is completely optional. 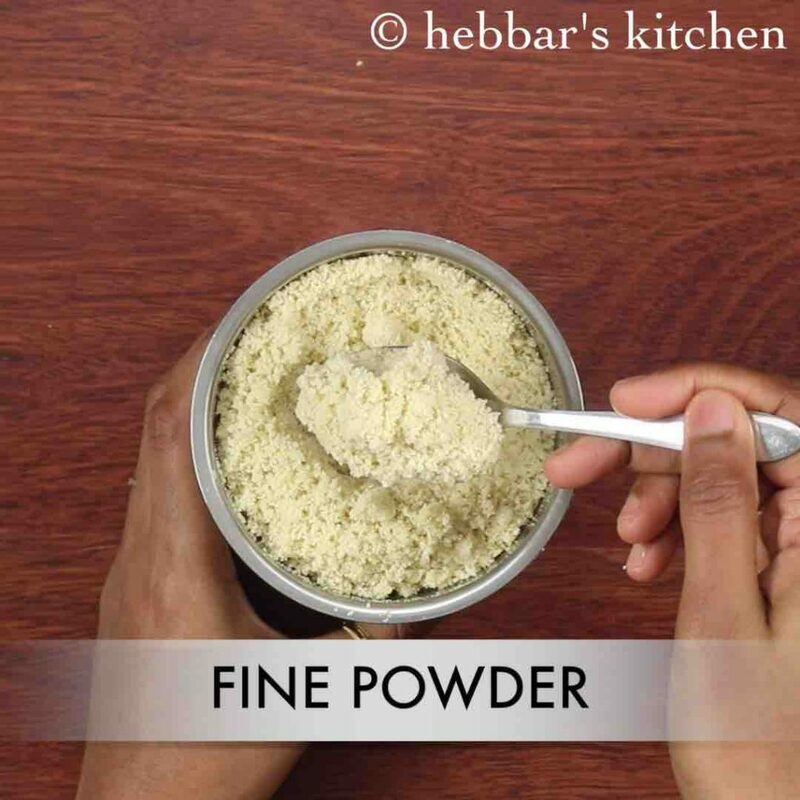 firstly, in a blender blend 1 cup cashew to fine powder. dry roast cashew if they are not fresh or moist. 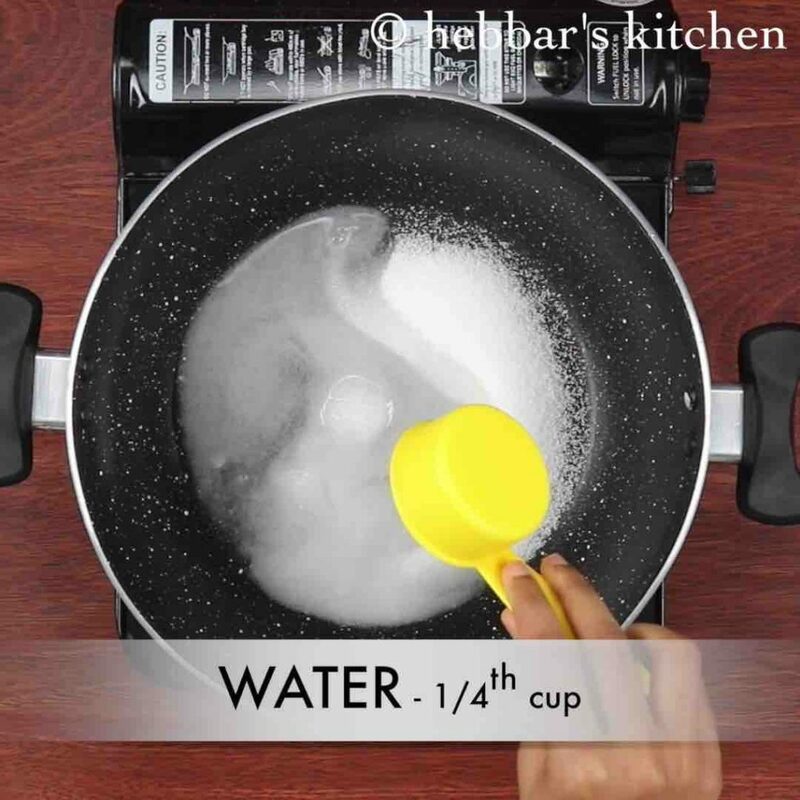 prepare the sugar syrup by adding ½ cup sugar and ¼ cup water. 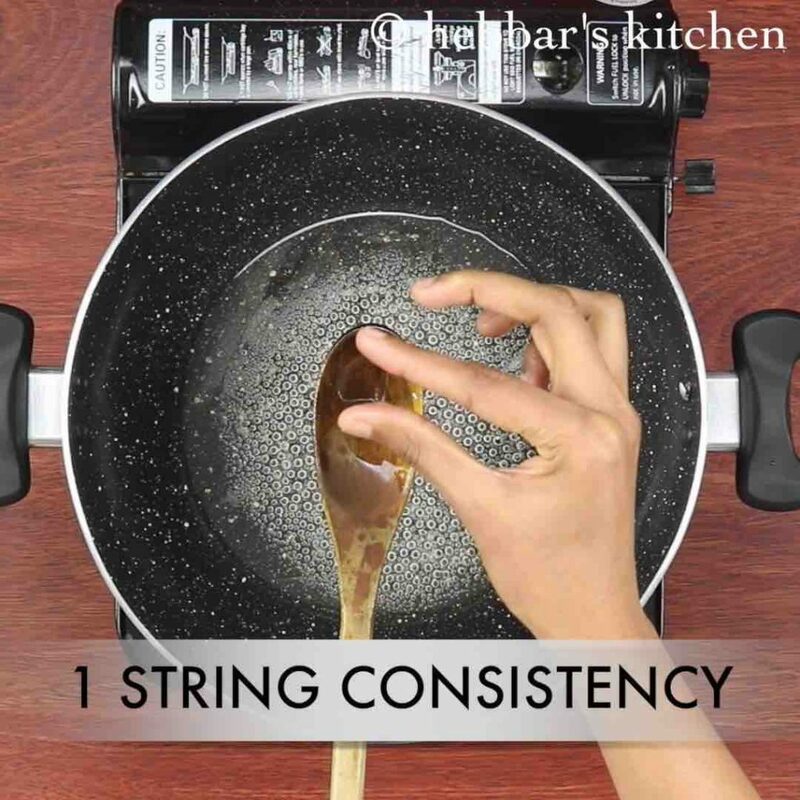 stir and boil on medium flame till you reach 1 string consistency. now add in powdered cashew powder. sieve the cashew powder before adding to avoid any pieces of cashew. 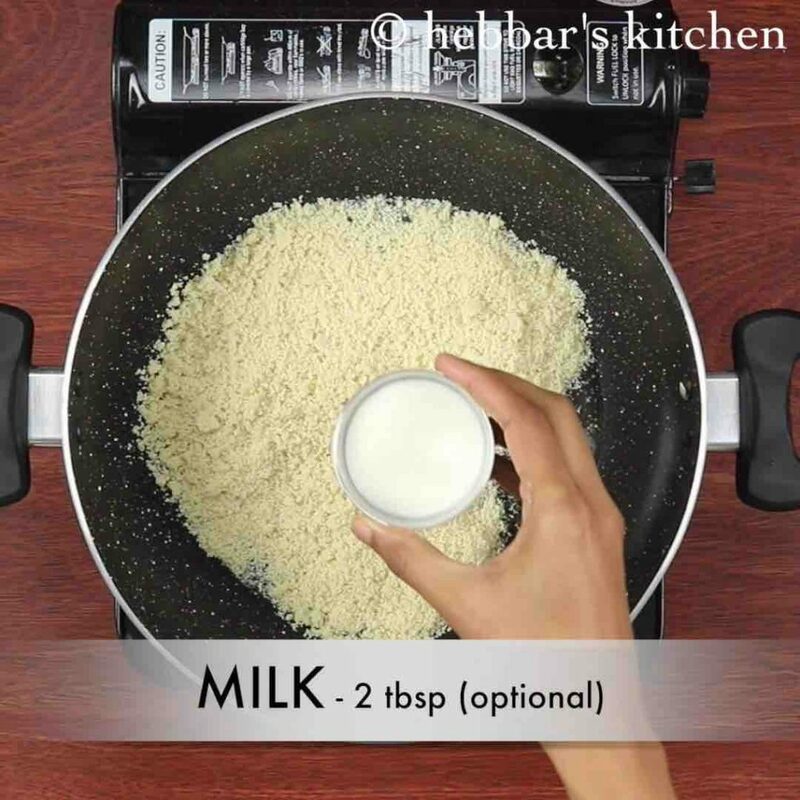 also add 2 tbsp milk. milk helps to make kaju burfi more moist. however avoid it, if storing for more time. 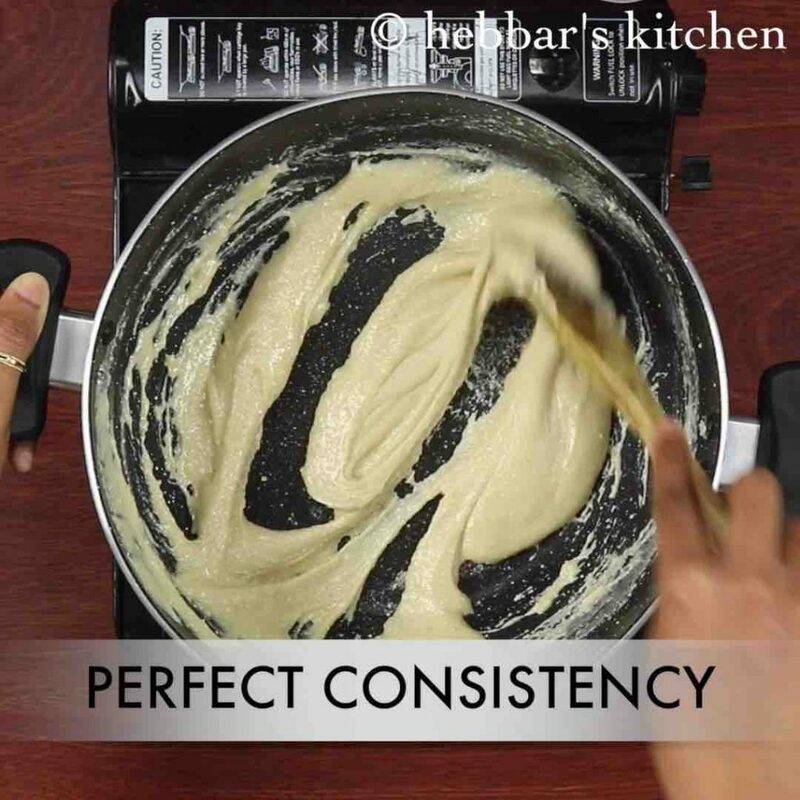 the mixture forms a paste and start to thicken. once the mixture separates from pan, add ½ tsp ghee and ½ tsp cardamom powder. ghee helps to make burfi more flavourful. 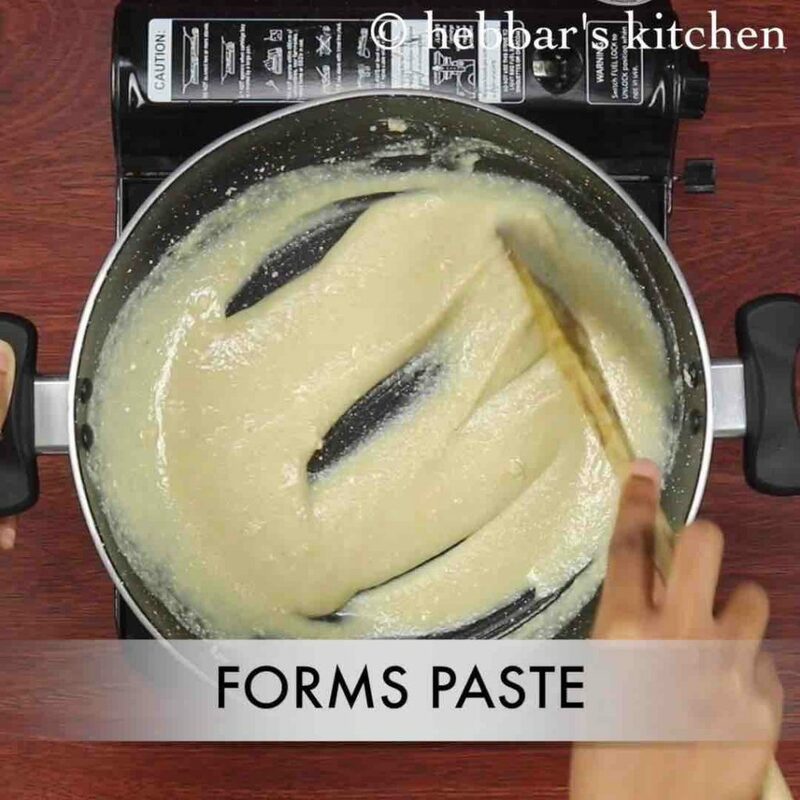 mix well till the mixture forms a thick paste. switch off the stove. 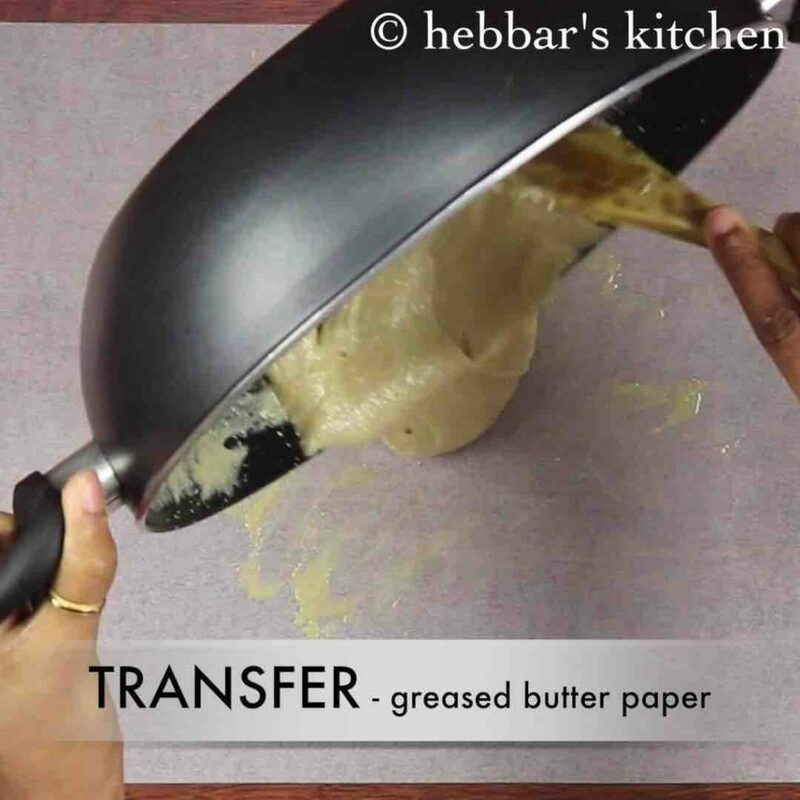 and grease the butter paper with ghee. 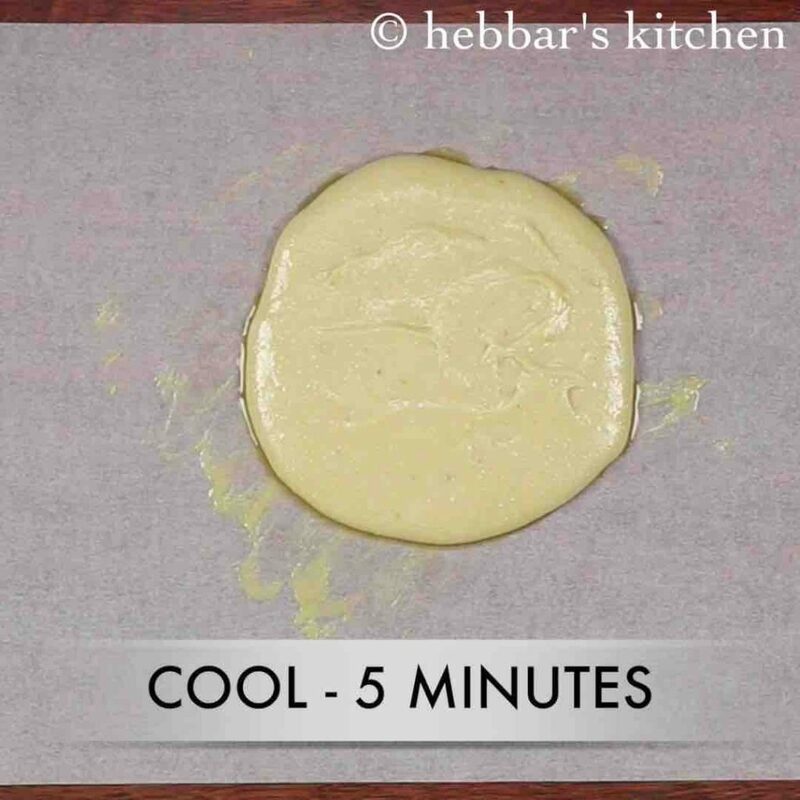 transfer the cashew dough on to the butter paper. allow it to cool 5 minutes. 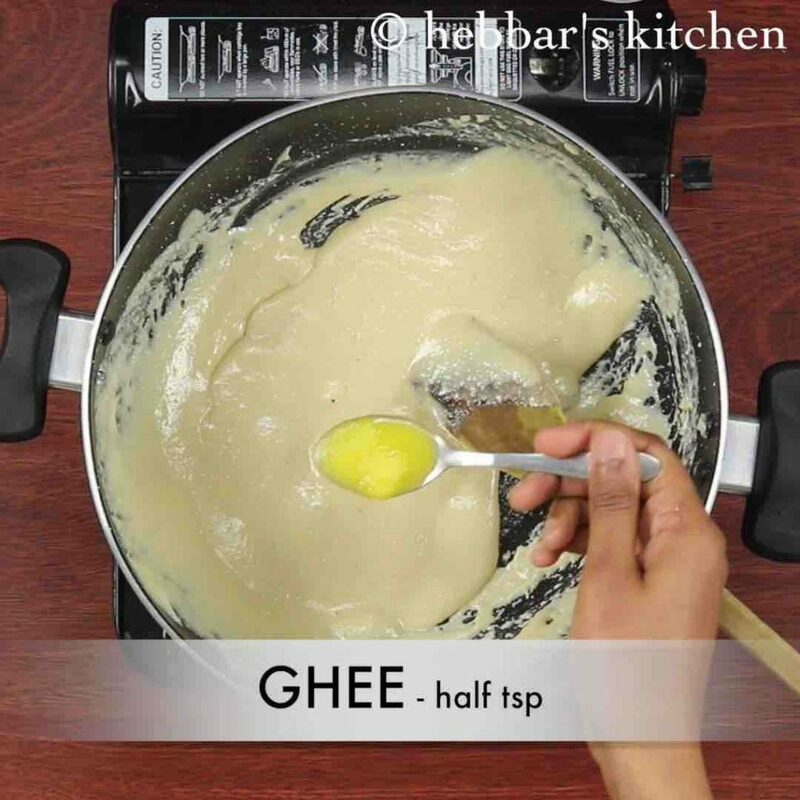 grease your hand with little ghee and knead 30 seconds. be careful as the dough will be very hot. 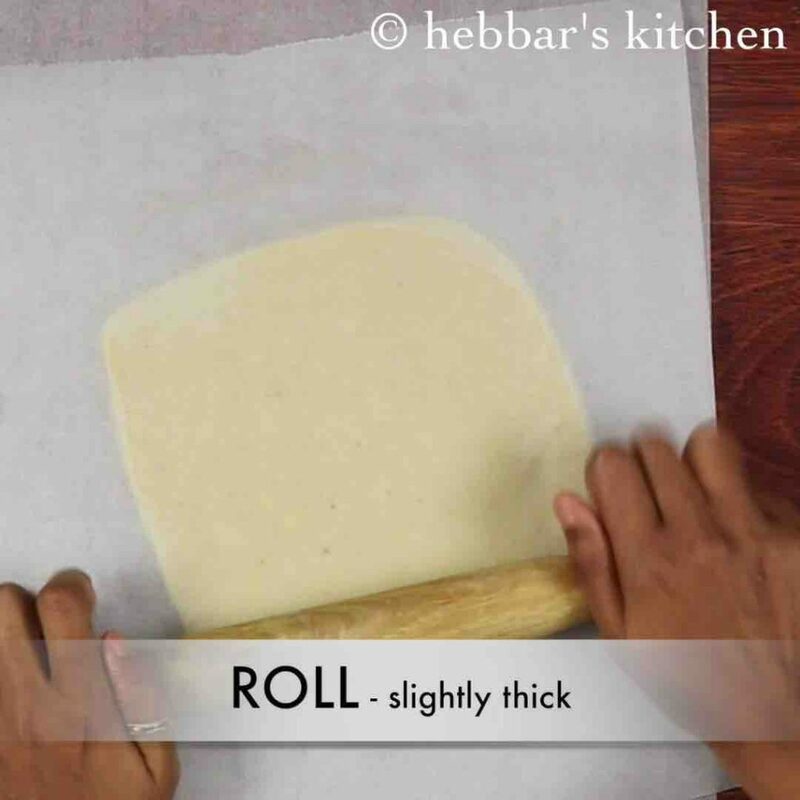 once you get smooth dough, cover with butter paper and roll slightly thick. 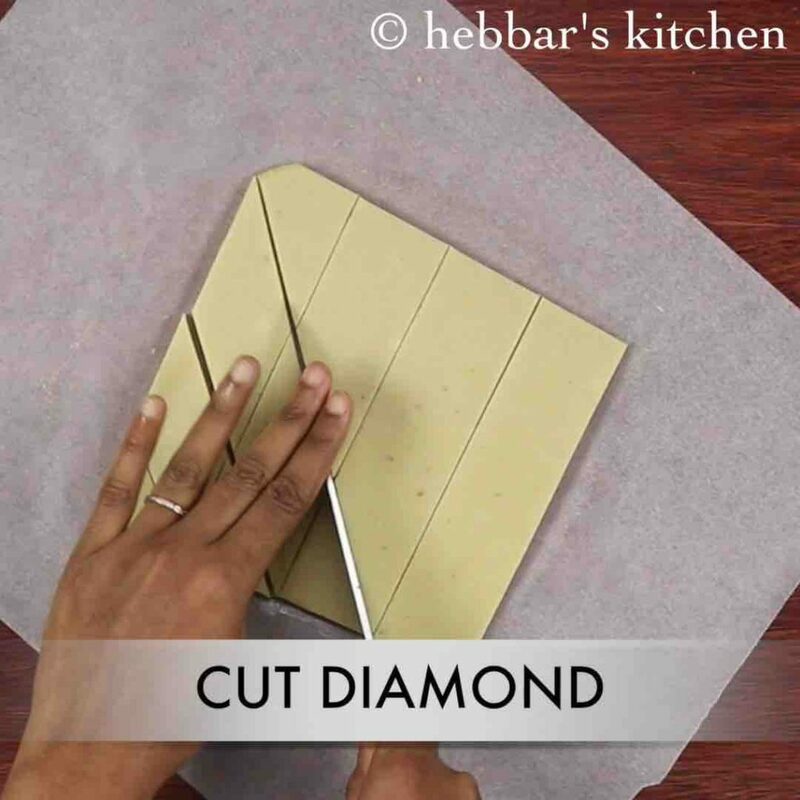 furthermore, cut the dough into diamond shape or the shape you wish for. 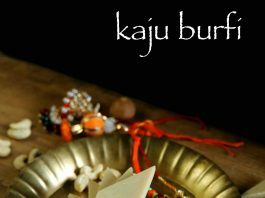 finally, serve kaju burfi to your brother and celebrate raksha bandhan. 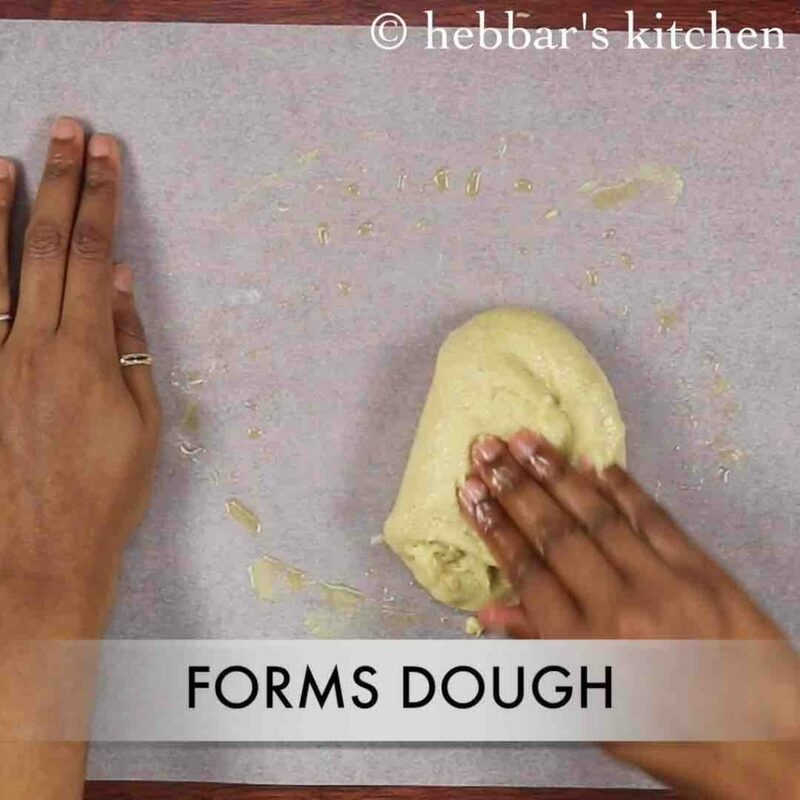 furthermore, cut the dough into diamond shape or the shape you wish for. you can also decorate with silver leaf / silver vark. firstly, try to knead when its hot, else it will be difficult. and do not over knead as cashews will start releasing oil. 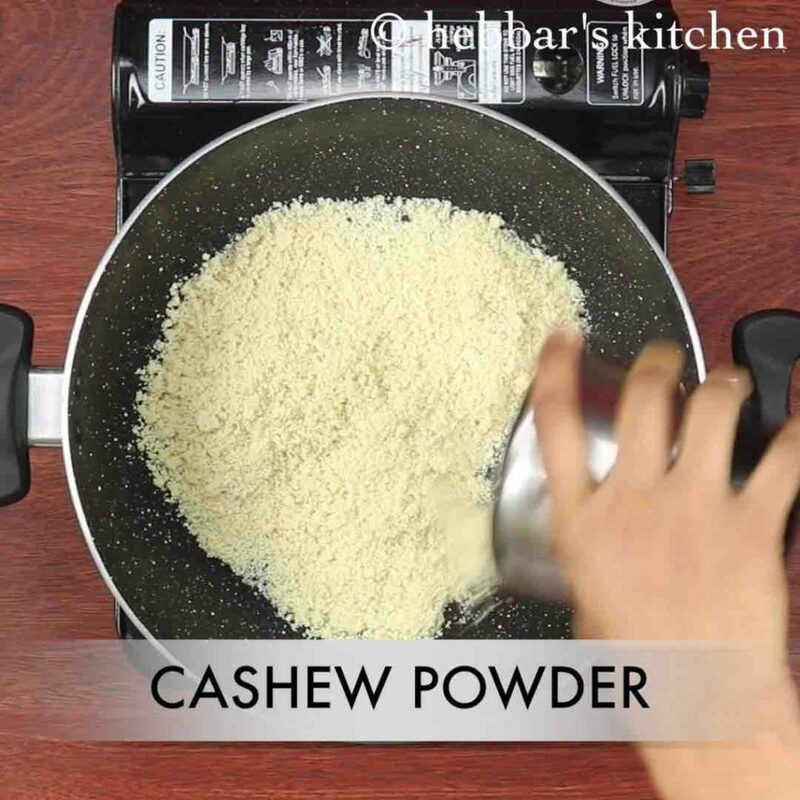 also sieve the cashew powder to avoid chunks in burfi. additionally, use fresh cashew or dry roast before blending to fine powder. finally, kaju burfi stays good for a week or more when refrigerated. Hi…while making kaju barfi it dint turn into paste….what do u think must have gone wrong…..????? have you cooked on low flame? ?